The AirLink® MG90 is a high performance LTE-Advanced Pro vehicle multi-networking platform, purpose built to provide secure, always-on connectivity for mission critical applications in public safety, transit and field services. 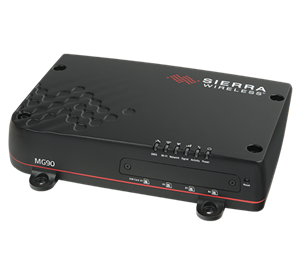 With extensible multi-network connectivity, the MG90 offers dual LTE-Advanced Pro, Dual Concurrent Gigabit Wi-Fi and Gigabit Ethernet, with extensions to Land Mobile Radio (LMR) and satellite systems. The MG90 is a FirstNet Ready™ Vehicle Router for Band 14 connectivity. 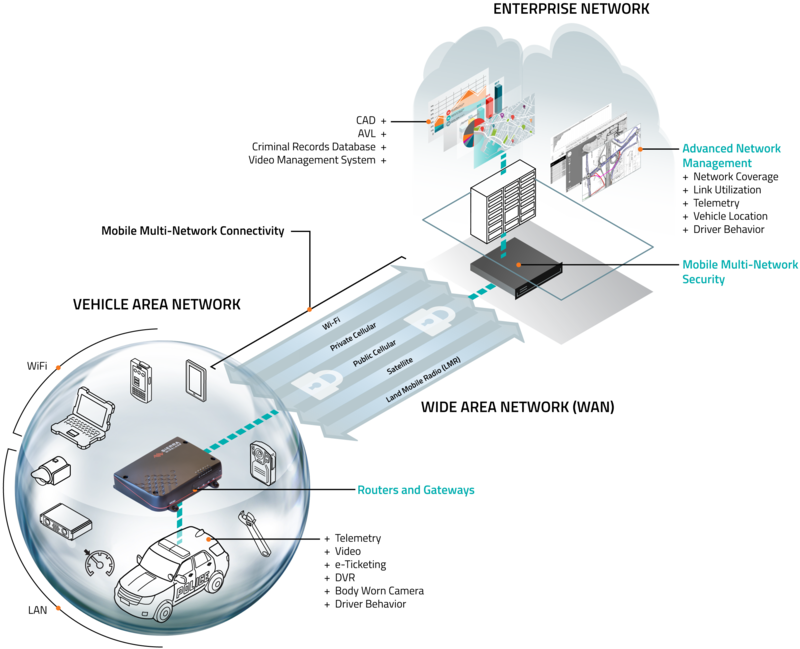 Industry’s first in-vehicle router certified and approved for use on FirstNet. Sierra Wireless is the go to for the FirstNet Ready AirLink MG90 In-Vehicle Router, which ensures that first responders stay connected – anywhere, over any network. The MG90 provides secure, reliable connectivity, giving police officers up-to-date information about emergency situations, so they can respond with the knowledge they need to act quickly and safely. The MG90 will create a Wi-Fi hotspot to connect all laptops and tablets in the booth, including the Panasonic Toughbook.